Paul is senior surgeon at Petmedics in Manchester; a hospital based practice that hosts the largest out of hours emergency service in the UK, dividing his time between emergency cases and surgical referrals. 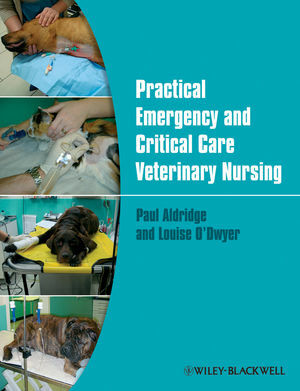 He is keenly involved in the provision of CPD on emergency medicine and surgery to both veterinary surgeons and nurses. His clinical interests include all aspect of emergency surgery, but particularly the management of multiple trauma patients. Louise gained her Diploma in Advanced Veterinary Nursing (Surgical) in 2004 followed by her Diploma in Advanced Veterinary Nursing (Medical) in 2007 and Veterinary Technician Specialist (Emergency and Critical Care) in 2011. She has contributed to over 20 journal articles and books and lectures regularly on all aspects of emergency and critical care. She worked as Head Nurse for PetMedics in Manchester the largest emergency clinic in the UK for the past 10 years, and is now Clinical Director. Louise’s interests include all aspects of emergency care but particularly trauma and respiratory patients, as well as infection control and wound management.